First, open the plan that you would like to share. 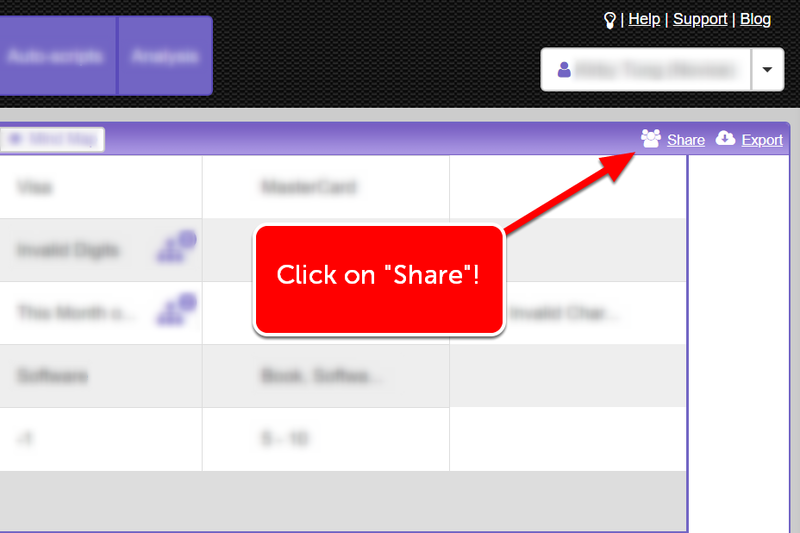 Next, click on "Share" underneath your account name. It will be on the right-hand side of your screen. 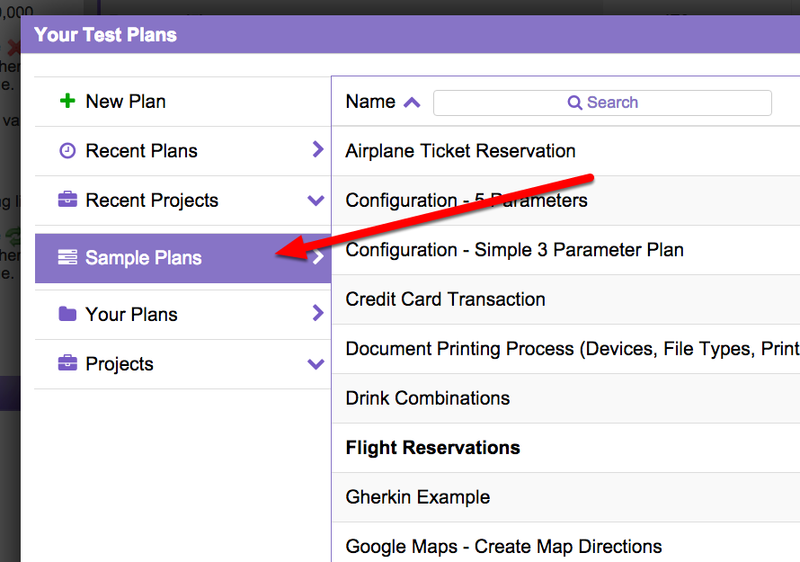 If the plan you're sharing is already in a project, you can skip this step. Please note that all of the plans in the project will be shared because sharing is done in Hexawise by project not individual plan. As explained in the table below, you can select different usage rights based on your preferences. When sharing with someone who is not yet familiar with how to use Hexawise, you might want to select "Can Copy and Comment on Plans." That way, the person you share with will be able to make comments to your plans and ask clarifying questions about it, but they will not be able to make changes to your plan. To create a secret URL that will grant access to anyone who uses the URL, simply click on the radio button shown below. This option appears above the "add an email" sharing option. Doing this and sharing the secret URL with someone will grant them "Can Copy and Comment on Plans" access. You can use this sharing option by itself. Or you can use this "secret URL" sharing option in addition to the "invite by email" option. 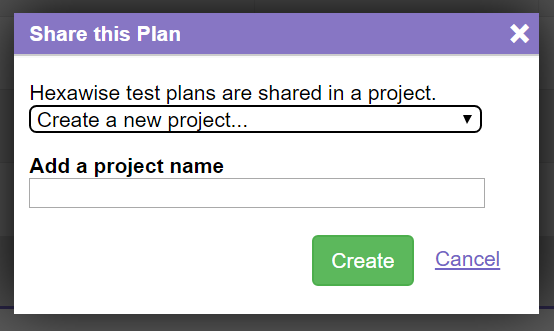 You cannot share plans in the "Sample Plans" project folder. 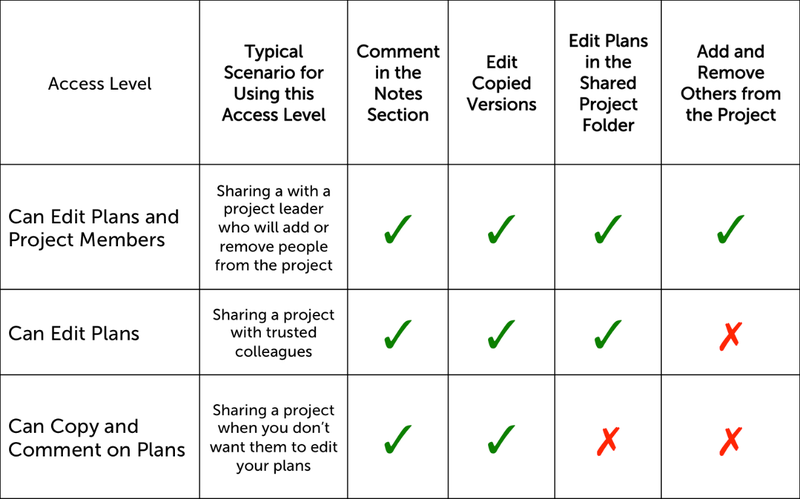 If you want to share a plan that is currently in your Sample Plans, you may copy the plan to a different project and then sharing it.